It’s Morel Season in the Northern Chicago Suburbs! The first morel I spotted, near an elm stump. I took a walk through the wood behind my house tonight, and was thrilled to spot some morels. I left several, including the one pictured, in the woods to grow for another day or so. But I know where they are. I’ll be revisiting the area soon. And I might sneak out to the woods after work tomorrow. Mostly, I’m just happy that I’ve not forgotten what these look like. The morels I spotted tonight were on the periphery of the wood, near an elm stump on which some pheasant backs were growing. Notes: Temperatures have been hovering in the low 50’s for the last several days, and we’ve had quite a bit of rain. These mushrooms were found on Wednesday, May 4. Monday and Tuesday were quite cool, following more moderate temperatures on the weekend. 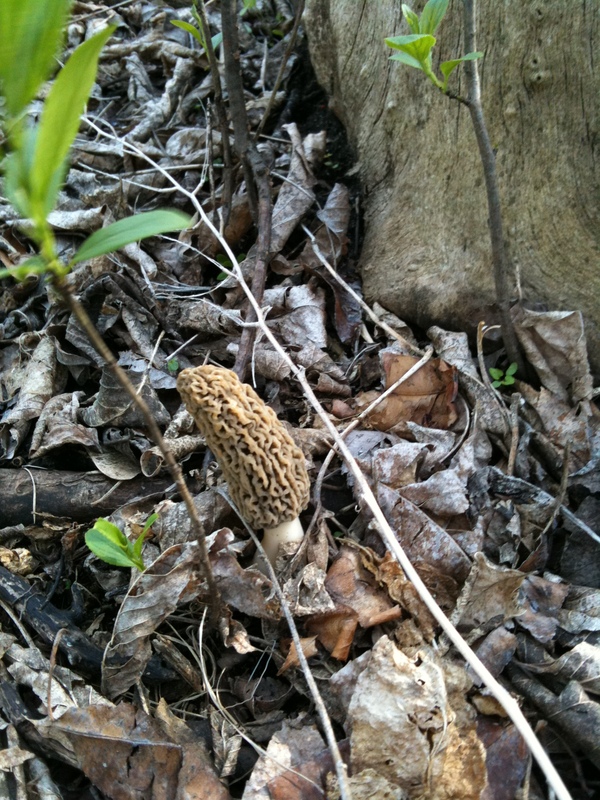 Today it hit 58 and the morels are just starting to appear. 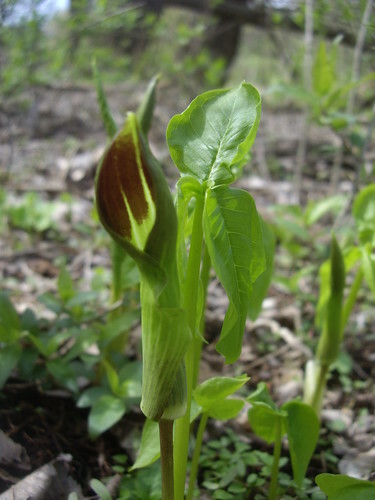 Jack in the Pulpits are up, but small, and only about 8″ high. This picture was taken on May 1. 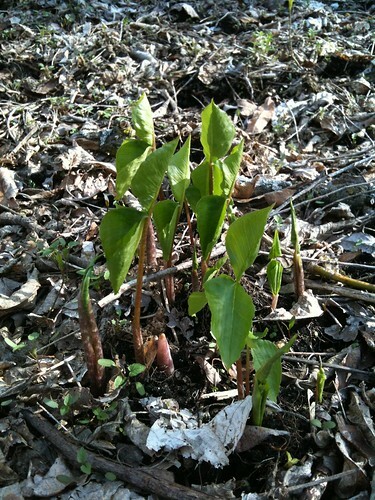 Trillium shoots have appeared as well, and are starting to leaf out. Pheasant backs are everywhere, and I spotted budding fruits almost two weeks ago. 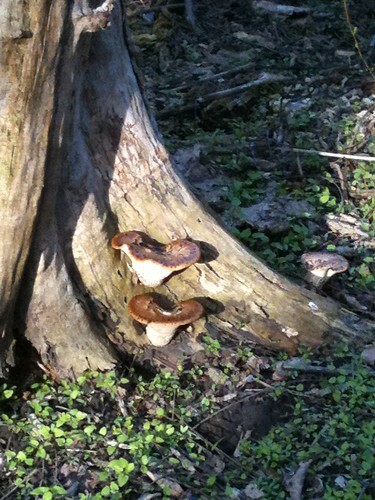 This entry was posted in edible wild mushrooms and tagged hunting, Journal, morels, pheasant back. Bookmark the permalink.